SZHS-180 Double Cone Mixer is suitable for mixing the powder and granular materials in pharmaceutical, chemical, foodstuff, building materials industries and so on. It is suitable for mixing the powder and granular materials in pharmaceutical, chemical, foodstuff, building materials industries and so on. 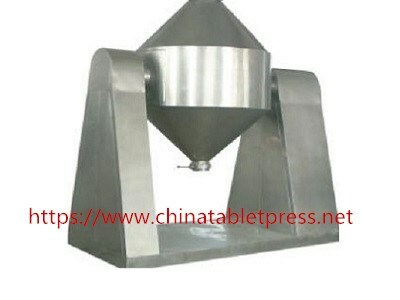 The vacuum conveyor of the machine sends the powder or granular materials into the double cone container. With the rotation of the container, the materials complete the process of complex bumps and uniform mixing. Double Cone Mixer is energy-saving and easy to operate. Its labor tensity is low, but the working efficiency is high. Double Cone Mixer is suitable for mixing the powder and granular materials in pharmaceutical, chemical, foodstuff, building materials industries and so on.